At least six police personnel and one citizen were injured in an explosion on Quetta's Sariab Road on Wednesday. According to security sources a roadside bomb exploded just as a police vehicle carrying 35 police personnel passed the area. The injured have been shifted to Quetta's Civil Hospital where emergency has been declared. Security forces have reached the location and cordoned the area off and a security sweep is underway. Last month, on September 26, an explosion occurred when a school bus carrying nearly 100 children passed by on Quetta's Hana Road. Miscreants targeted the bus, which was coming from Sorenje area of the city, through a roadside bomb. 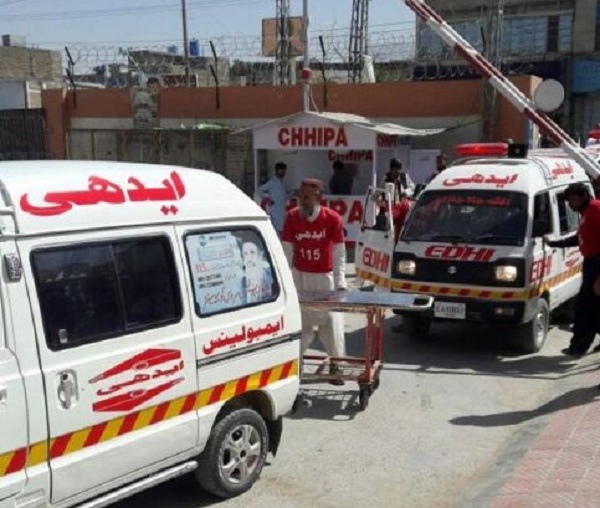 Fifteen people, including eight soldiers, were martyred when a suicide bomber targeted a military truck near the Pishin bus stop in Quetta on August 13.